This soup was a staple growing up and for good reason. 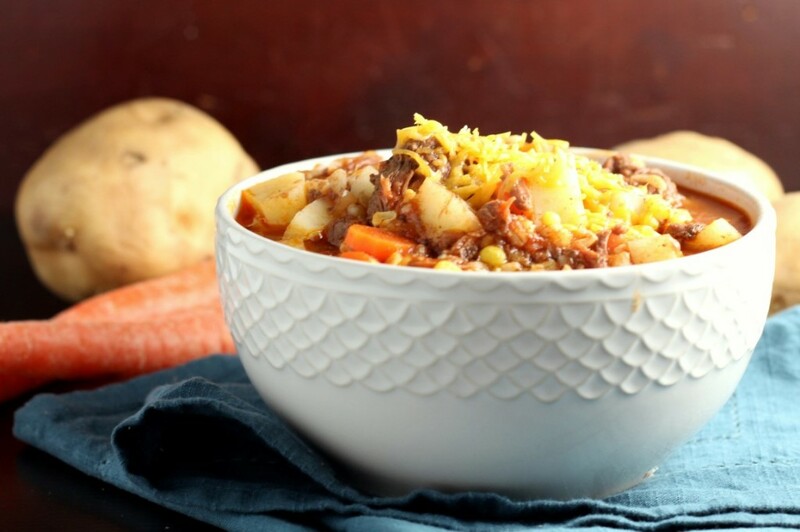 It’s delicious and comforting as well as easy, because it uses canned beef. Canned beef was something I assumed was sold everywhere, that is until I got married and couldn’t find it in the grocery stores. 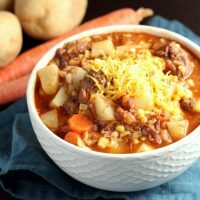 The canned beef makes this soup a snap, but if you can’t find it, beef stew meet or a soup bone will also work. Peel and dice the onions, carrots and potatoes. In a large pot, combine all the ingredients except for the frozen corn and barley. Simmer for 1 hour. Add the corn and barley (both uncooked) and simmer for another hour on low heat. Serve with shredded cheddar cheese. Note: If unable to find a can of beef, a beef soup bone may be used instead. If you choose to make this substitution, add 1 cup of water and 1 additional beef bullion cube. 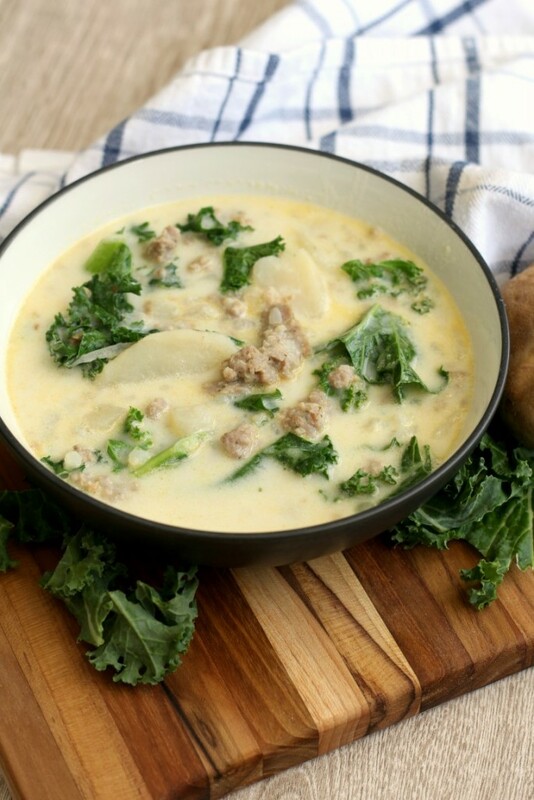 How about 1 hour, 1 pot Zuppa Toscana? 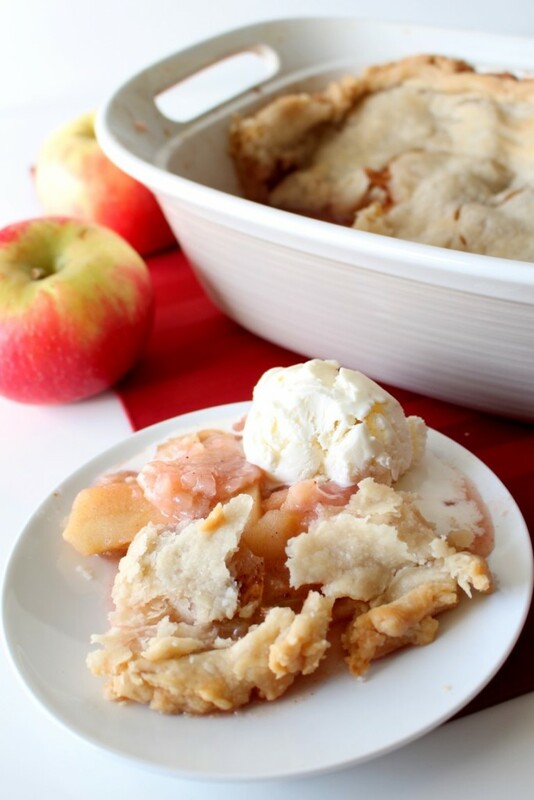 Try this Apple Dumpling Bake with the Beef Barley Soup, another perfect comfort food! 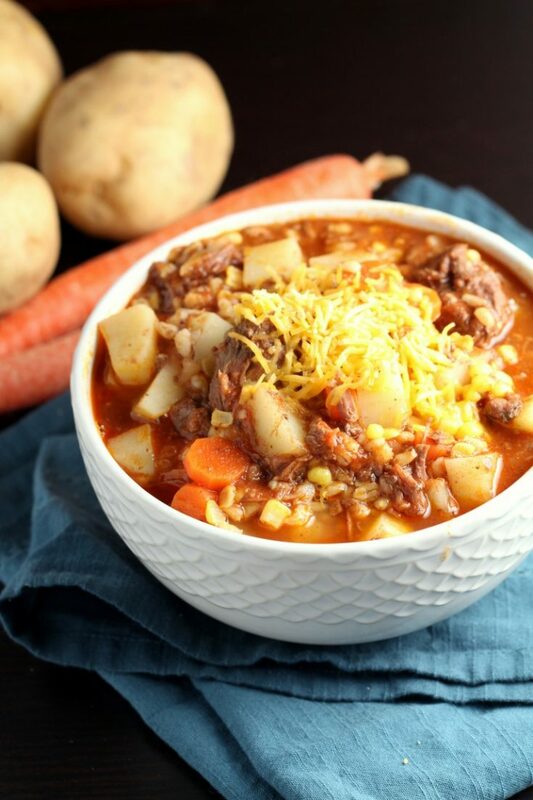 While we impatiently wait for spring, try these other comforting soups. Chicken Cordon Bleu Soup from Dessert Now! Dinner Later! Or how about Lightened Up Chicken Noodle Soup from Sally’s Baking Addiction. And you can’t go wrong with this classic Three Bean Chili from Whole and Heavenly Oven. What a great looking soup. Definitely a full meal! This is probably one of my favorite soups, ever! 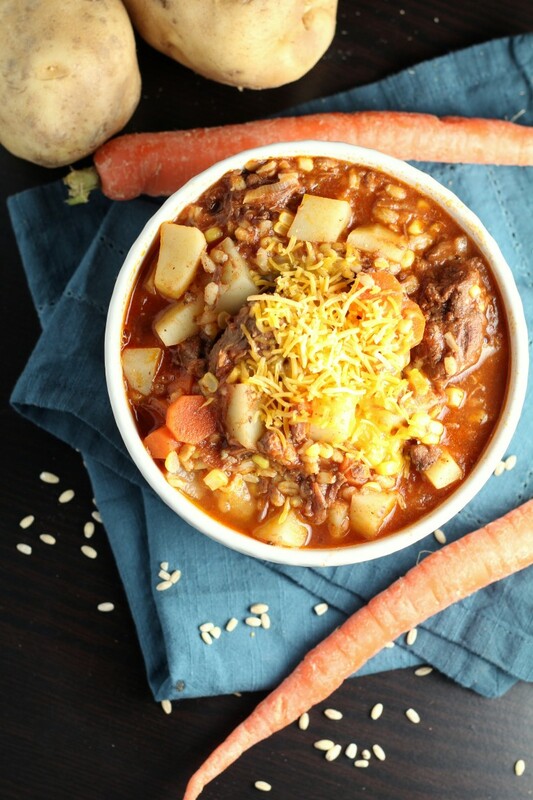 Barley soups are always some of my absolute favorite soups and this looks amazing! I’m bookmarking it to make next week and I know it will be an instant hit with my family. Beef and barley is such a hearty soup and a fantastic way to still warm when the weather is chilly! Pinning a lot of soup recipes today since we have sub zero wind chills here in PA today. I’ve never had this, but it looks AMAZING! Hi Cheryl, i use the kind without. It was easy to find when I lived in Ohio, but out on the east coast, it’s been hard to find.